" Yana is in fricken mazing!!!!!! I had so much anxiety about having Botox and Juvederm and before I knew it, she was done! " "Another great beauty experience with Yana. I had an amazing fat freeze experience with the coolsculpting !!! I love love love my results! Thank you Yana !!" "Maybe 4 years now that I've been going to Yana, she is the best. I just tried the PRP instead of the traditional filler love it. " MyBotoxLA and the office of Yana Pechenik, M.P.A., PA. Yana is a Physician Assistant, and is thoroughly trained in all aspects of non-surgical cosmetic medicine & age-defying therapy. 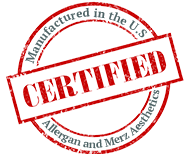 We only use full strength products that are manufactured in the U.S. by Allergan and Merz Aesthetics. When planning a face or body enhancement, you want to be confident that your treatment will be performed correctly, professionally, and that the entire experience is successful – and an overall positive experience. At MyBotoxLA in Studio City, every treatment is performed with exceptional skill. Our clinic has a five-star rating on Yelp, and we deeply thank our clients for posting such an abundance of wonderful reviews. Discover the difference artistry makes when you visit our comfortable, client-centered, luxury MedSpa Every detail was put in place to make your journey to a more beautiful you positive and a pleasure. We are passionate about ensuring that your aesthetic vision for your face or body is achieved. To produce the most beautiful result with injectables requires experience, skill, and a deep knowledge of the product and how it works – as well as how to create the most beautiful effect and how to inject the product with delicacy and care to limit any bruising or swelling. Successful treatments are all about the hands behind the procedure, and Yana offers skills beyond the ordinary. As a Physician Assistant, she has a full understanding of how to administer injectables correctly, and how to create the most balanced and attractive enhancement. We are proud to be the “go-to” MedSpa for Studio City, Encino, and Sherman Oaks, and are easy to find at our convenient location in the heart of Studio City. We offer a full range of face and body anti-aging treatments to our clients, such as our Los Angeles, Sherman Oaks & Studio City CoolSculpting, Vampire Facial, Microneedling and PRP for hair. We work closely with each client to help them achieve the look they envision for themselves, whether smooth, glowing skin, plumper lips, or other face or body enhancement. At MyBotoxLA, our goal is to help our clients achieve an enhanced physical appearance for face or body. Not all of us were blessed with the body or face we wanted – but modern advances in cosmetic technology have made it possible to alter a look, creating more balanced features, ward off the signs of aging, and recontour the body, all without the need to undergo surgery. At our MedSpa we have focused all we do upon delivering the latest generation of treatments to help you have a fresh, rejuvenated appearance. Many of our clients come to us to help them have more alluring lips. As with any facial procedure, the care with which the treatment is performed is extremely important – you want your lips to look defined, appealing, plump, and youthful. We have gained a reputation for excellence in lip plumping and have clients who come to us from near and far to achieve that perfect look. Your eyes are the “window to your soul.” Sadly, as we age, the fine, delicate skin around the eyes is often the first area to reveal the passage of years. Many women (and men!) feel dismayed when they look in the mirror and see crow’s feet, drooping, heavy brows, wrinkles, and lines. Modern injectables can be used to restore and rejuvenate your appearance, smoothing the area so you look as young and fresh as you feel. When the appearance of wrinkles and lines around your eyes and brows are reduced, it enhances your other facial features. There is truly no reason to live with the signs of aging skin – with our help, you can maintain a smoother, younger look for years. At MyBotoxLA, we offer a full array of the most effective treatments for facial rejuvenation. 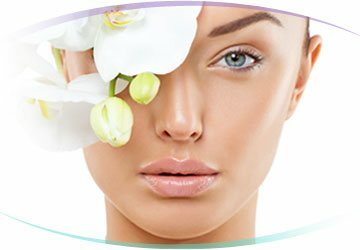 Our years of experience in facial treatments has led to our reputation as the premier MedSpa in Studio City. We offer a range of exceptional European skincare products, made from premium, natural ingredients. This skincare line is truly above and beyond the ordinary, aiding in boosting collagen production, deep moisturizing, and known for being effective in anti-aging treatment. These products were developed in Germany after extensive research by leading dermatologists and aesthetic physicians to achieve the highest concentration of active ingredients to produce uniformly smooth, glowing skin. First time patient consultation fee is $150.00. A payment is required at time of booking your appointment. As a courtesy, after your consultation should you choose to receive treatment the $150.00 consultation fee will be deducted from the cost of your treatment. Your appointments are very important to MyBotoxLA. They are reserved especially for you, we understand that sometimes schedules adjustments are necessary; therefore, we respectfully request at least a 24 hours notice for cancellations. The $150 consultation fee is Non Refundable for patients who are no shows, or cancel less than 24 hours before their appointment time. Patients who cancel at least 24 hours prior to their appointment receive 100% of their money back. Cancellations can be completed via email, text or phone. 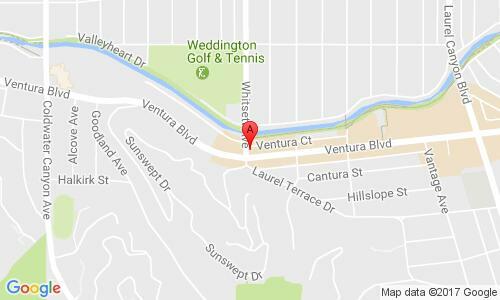 Our location is conveniently located in the middle of Studio City with easy access from Sherman Oaks, Encino, Van Nuys, Hollywood, Beverly Hills, Burbank, and Glendale. You can easily find out more about our luxury MedSpa and the non-surgical treatments we recommend for you in a initial consultation. Our services are customized for each client, and we take all the time needed to answer your questions about face or body enhancement. Each individual's treatment and/or results may vary based upon the patients' specific situation. Examples of treatment outcomes on this websites are not intended to convey or warranty the outcome of your individual treatment. Please consult with our health care professional about the risks and benefits of each procedure.